We’re making it a musical, really busy spring at Embassy. Our young musicians are learning and growing by leaps and bounds. Let me share some musical news with you. Broward County Elementary Honor Choir! Ten of our Embassy Creek students represented us in the Broward County Elementary Honor Choir concert Friday, February 1, 2019 at the Coral Springs Center for the Arts under the direction of Mr. Timothy Sharp. Congratulations, to our talented singers, Abbygail Chang, Emilee Comess, Aidan Don, Emma Griffith, Grace Lerner, Yale Nieburg, Thalia Oren, Diego Rosales, Alexandra Strong, Grace Wang and Anya Wenglowskyi. Many thanks to the families involved and our Embassy fifth grade teachers. A great time was had by all! Our Embassy Creek 2018 - 2019 Junior Chorus began rehearsing on Tuesday morning, January 29, 2019. Our Second and Third Grade Chorus rehearsals are every Tuesday in the morning from 7:30 - 8:00 a.m. All members should report directly to the music room when the gates open. Our show this year is “Get Hopin’!”. 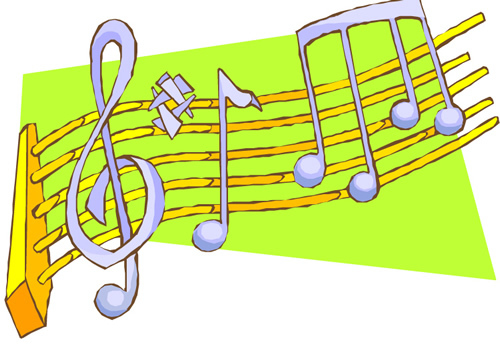 Our Joyful Noise will be rehearsing every Monday and Wednesday from 7:30 – 8:00 a.m. in the music room with Ms. Leone. We’re gearing up for a busy spring season including community performances and our annual competition and an evaluation called the Elementary Music Performance Assessment. The music for our spring season is challenging, look for small adjustments in the rehearsal schedule to maximize our learning time together. Many thanks to the parents of the students involved in our large Embassy Creek musical ensembles. You’re ALL the best!